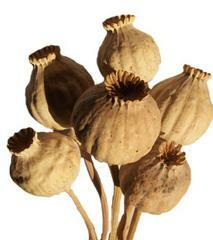 Looking for drugs on the cheap, a writer found poppy pods available on the internet. He also found himself hooked. It’s on Alternet. Gotta love Alternet. Thank you for sharing this link, the confession is very well written. I have heard time to time about gangs using Fedex, UPS, etc. to do drug traffics from South America to Europe. I know we can find nearly everything on eBay but Opium??? It is may be out of topic but I will be interested to know the policy or position of eBay. In term of US laws, do eBay can be considered as a drug dealer or a sort of drug carrier? I found it especially interesting to read the comments after the post itself. I do think it’a a bit on the irresponsible side – but I have known a lot of drunks and addicts, so I feel for him, too. It is just a shame to need to escape that bad (and from such a young age). Good link – thought provoking!